We would like to award you a prize for your creativity! Do you love to sew and enchant your friends and acquaintances with your individual sewing creations? Then it's you we are looking for! 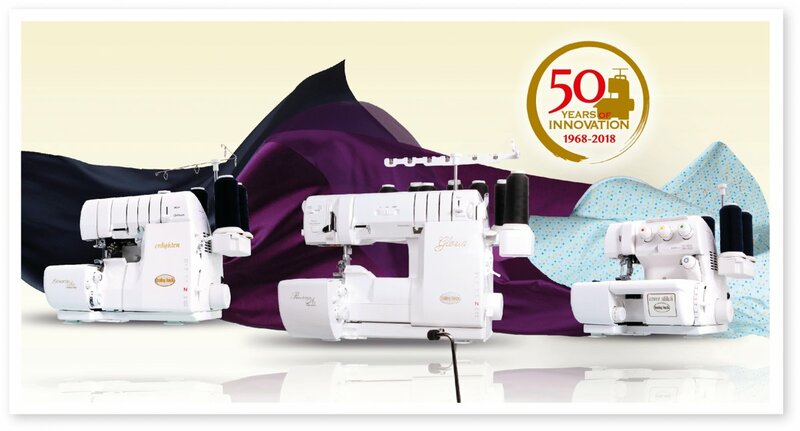 Our great 50th anniversary baby lock sewing competition is starting in September. We are asking all sewing enthusiasts to share their ideas with us. Of course, the best sewers also have the chance to win fabulous prizes. We are celebrating our anniversary, but not without you! In 50 years of innovative comfort with baby lock, we have been able to win over many fans for our machines: people who have already been sitting in front of a baby lock and sharing their enthusiasm with friends. You spread the word that it is real fun to sew on our machines, providing plenty of innovation of the highest quality and opening up undreamt-of possibilities to you. We are proud of every individual baby from our range of products, but thanks to your positive reviews and feedback, you awake interest in more and more potential buyers! Thus we do not only celebrate the successful 50-year existence of our brand but also your steadfast loyalty! To thank you for what you are doing for us, we are giving you the chance of winning one of our three most coveted machines! May we introduce them to you? The latest coverlock machine from the brand of baby lock combines wave, overlock and cover stitches. It excels with the first jet-air needle threader in the field of coverlock machines, features a knee lift and of course the proven ATD system that tensions the threads for you. This baby lock overlock machine threads the loopers quickly and precisely with a gust of air. Thanks to its automatic thread delivery system, the machine always produces perfectly balanced stitches. enlighten also features the baby lock-typical wave stitch for particularly eye-catching designs. The only pure cover stitch machine mainly owes its popularity to its robustness. Cross seams are no problem for this machine; it sews almost everything! The integrated baby lock jet-air system, threading the loopers nearly automatically, lets you enjoy sewing from the very beginning. These, of course, are only a few from the wide range of product features. Please visit our website and have a closer look at the individual descriptions if you want to learn more about these machines. We would like to offer you a platform to show your own sewing projects. 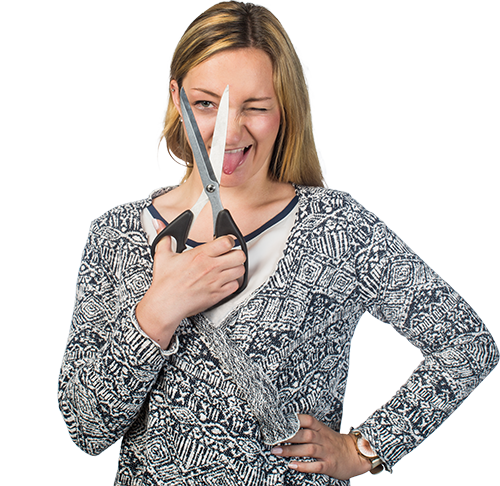 As you can see, our Campus provides tips and tricks for your creative hobby that make sewing with our overlock and coverlock machines easier. We are looking for motivated writers who are able to describe and show the progress of their sewing projects so as to attract the readers' attention and help them understand easily in order to extend our pool of experience and tips. What exactly do you have to do? Conceive the idea of a sewing project that attracts the attention of others and entices them to follow your instructions. Just let your creativity run wild. What, however, is important, is to ensure that more than 50% of the work can be implemented with a coverlock or overlock machine. After having made up your mind, download a PowerPoint file here that is used as a template for our Campus design. Then enter your individual instructions in this file. Before sending your e-mail, please check again that you have entered all necessary details completely and correctly and attached your file. Three winners are chosen from all projects sent in the names of whom we will be announcing at the end of our competition on our website. We will publish the instructions with your name on Campus. Apart from the creativity of the idea, criteria such as the visual presentation of the sewing process, the quality of the photos, the way of expressing yourself and a description without spelling mistakes are also decisive for being chosen from all the files sent in. Photos that clearly show the brand of the sewing, coverlock or overlock machine used to implement your project, are not allowed. Unfortunately, we cannot take into consideration any entries and messages received after 02.01.2019. We reserve the right to publish further instructions as of the fourth place on our Campus if we consider them very successful too. Please click here for further information and the complete terms of participation.